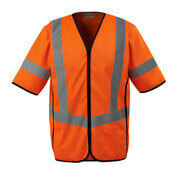 Read all about EN ISO 20471 certification for high visibility workwear. Today, in more and more industries, employees need to wear safety workwear. In particular, this applies to industries where a large part of the work takes place near traffic, cranes and other motorised vehicles, as well as work that takes place in the dark. And it is a good investment. 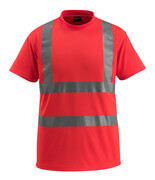 EN ISO 20471 certified safety workwear keeps employees safe while they concentrate on work. The employees will be visible at night, during the day, and from all angles, including from the rear where it is impossible for them to see. 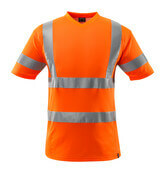 With the right EN ISO 20471 safety workwear, neither reflectors nor the fluorescent material will be hidden by blind angles. EN ISO 20471 is an international standard that imposes requirements on visible workwear for employees in high-risk areas. Using the right safety workwear is important and must be prioritised. Even if working in areas where visibility is important only takes place during a short part of the working day. EN ISO 20471 replaces the older norm, EN 471. EN ISO 20471 is divided into three classes, in accordance to the risk zone you work in and to how well the product is able to protect the employee. It is the visibility requirement – and thus the requirement for the area consisting of reflectors and fluorescent materials – that determines which class you need to choose. In all products, the reflecting ability of all reflectors fulfils what previously corresponded to class 2. The highest class is class 3. There are two ways to attain class 3 at MASCOT. Either choose an EN ISO 20471 product that is rated class 3 on its own (e.g. a jacket) or choose two products that together are class 3 certified. MASCOT has had approved a unique and simple letter system, which makes it easier to understand the various classes and provides an overview of the different combination options for attaining class 3 clothing. The system is approved by the certification institute, and it eliminates uncertainty. This way, employees always have the right safety class. 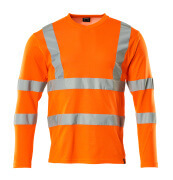 The combination options for EN ISO 20471 safety workwear can also be found on the label, on the washing instructions and in the user information on the clothes. By combining two individual products with EN ISO 20471, you can achieve class 3 certification for a whole set. For example, if you have a jacket from product group B (the product group’s letter can be found on the product label), you can achieve EN ISO 20471 class 3 for the entire set by selecting leg wear marked with Y or X. *) Bib & Braces can be combined into a certified class 2 or 3 as long as the upper body garment is worn over the bib. If the T-shirt or top is worn under the bib, then it is the class of the Bib & Brace alone that determines the total class. 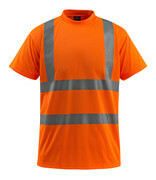 High visibility – also after repeated use – is extremely important. 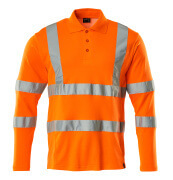 Therefore, MASCOT tests and certifies the visibility of its EN ISO 20471 safety workwear after far more than the five washes required by the standard. This way, MASCOT ensure that the safety of the workwear does not deteriorate with long-term use and still conforms to the EN ISO 20471 standard. Similarly, MASCOT treats some of its products with Teflon®, the dirt-repellent material. Teflon® treatment prevents the clothes from getting as dirty. This is critical for visibility.